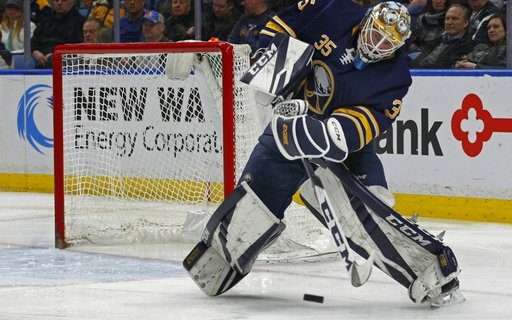 As the Sabres play out the season, they have already begun to audition some Rochester Americans players like Linus Ullmark and Justin Bailey. While they have to play well and produce with the big club, sports comedian Jeff Wozer also found some ways that those prospects could face a quick trip back down the Thruway. • Refers to Lauren Hall as Mrs. Pegula. • During game instead of a water bottle drinks out of a growler. • Uses the Twitter name Gripe_Show. • Posts a scathing Yelp review for Healthy Scratch. • On first shift instead of a hockey stick carries a selfie stick. • Leaves game tickets for Stormy Daniels. • On team flight had to be reminded not once but twice to switch cell phone to airplane mode. • Uses popular Ask Marty segment to ask if any of the Pegula daughters are single. • After game, player’s parents confront Phil Housley over son’s lack of ice time. • Mistakes Terry Pegula for Stu Boyer. & March Madness in WNY.